We are one of the leading Indian Manufacturer and Exporter dealing in 'Granulation Machinery. The Granulation Machinery process improves the wettability, flowability, appearance and bulk density of the powdered raw material. 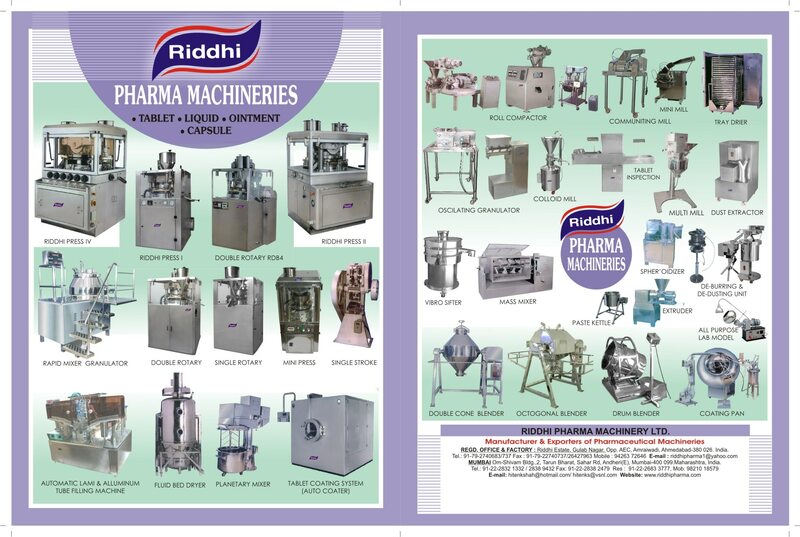 Granulation Machinery prepared by Riddhi Pharma Machinery are much in demand, so as to be used in areas such as pharmaceuticals, chemical industries etc. The Granulation Machinery process is very much inexpensive and the granules can be prepared by combining several different raw materials.